Ideal for a family holiday. 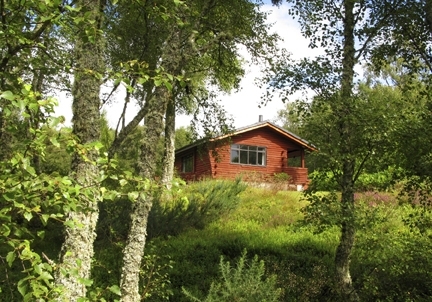 The Log Cabin, one mile from the village of Golspie, is beautifully situated in a crofting district on high ground at the southern end of Dunrobin Glen. 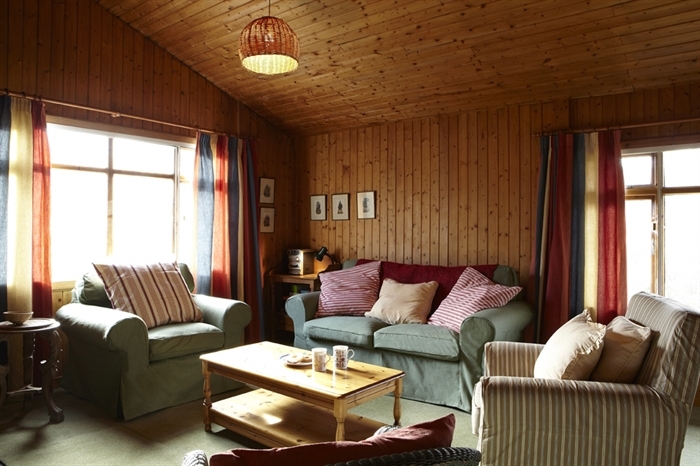 The Log Cabin is one mile from the village of Golspie, and is beautifully situated in a crofting district on high ground at the southern end of Dunrobin Glen. It is ideal for a family holiday. 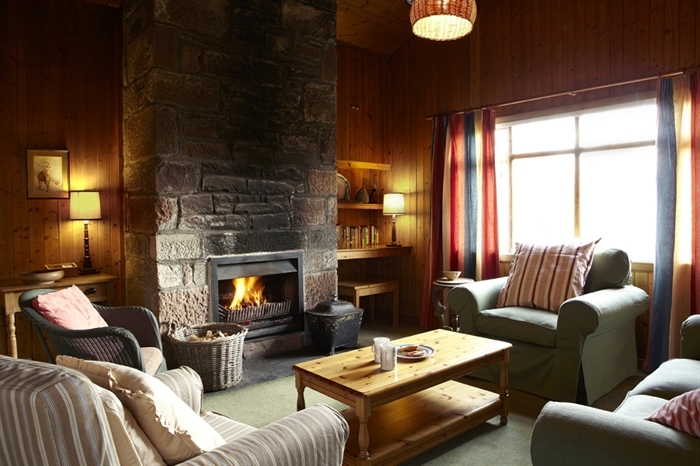 It faces South and has magnificent views over hills and woodland ground, and beyond to the sea and Dornoch Firth. This most attractive little timber bungalow is built in the Canadian Log Cabin style of solid Scots Pine timber, grown locally, and was completed in 1974. It has a delightful semi-wild garden, merging into the surrounding Birch woods where Roe deer may occasionally be seen. The cottage is designed and equipped for six people only. It is fully furnished throughout. 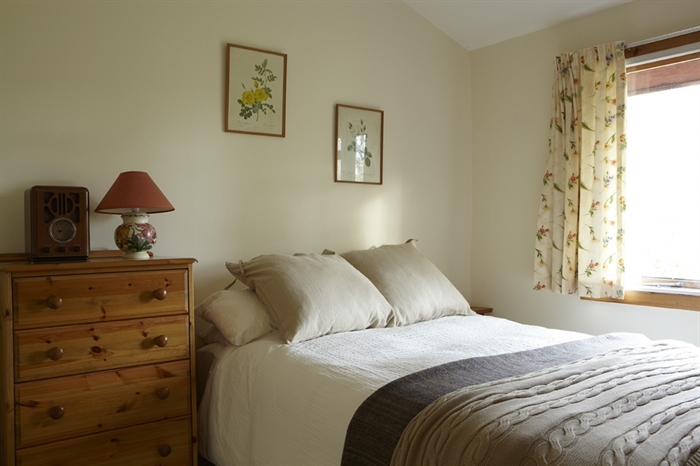 All bed linen and towels are provided, changed and laundered weekly. The area is renowed for its magnificent coastal and hilly scenery and abundance of wildlife. Red Deer, Roe Deer, birds of prey anf the Golden Eagle might also be seen, together with many species of sea birds. Golf is available at Golspie, Brora and Dornoch. Good shops at Golspie. Angling Club, Swimming Baths and Tennis Courts at Golspie. Dunrobin Castle and Gardens, the Hisitoric seat of the Dukes and Earls of Sutherland, is open to the public normally from Easter to the end of October, and is very well worth a visit. 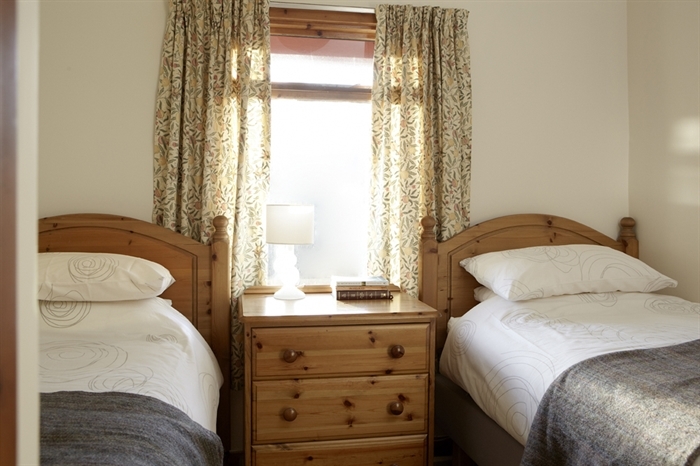 The cottage comprises one double bedroom, one twin bedroom and one bunk bedroom plus kitchen, bathroom, large dining room/sitting room with stone built open fire. The cottage is easily run. Cooking and hot water are by electricity. Combined colour TV/DVD, MW/FW radio with CD and cassette player. Washing machine and dryer, hairdryer, electric kettle, microwave, saucepans, all the usual cooking equipment, house and shoe cleaning materials are provided. Electric convector heaters in all rooms. Double-glazing throughout. Rentals £320 to £420 per week depending on season. Prices include electricity and coal. Minimum 7 nights. 4pm Saturday-11am Saturday.